NNBag.com, previously an online replica store that sold replica Chanel handbags, has been shut down as a result of a legal action and subsequent Court Order. The Court also ordered that the former owner transfer the domain name over to CHANEL’s control and pay damages of over $500,000.00. Hello and welcome to NNBAG. We are here to share with you the luxury and extravagance we feel about our CHANEL bags. When we carry our CHANEL bags, there is certainty that we will always feel the innovative CHANEL distinction, tradition mixed with modernity. NNBags.com was formerly an online replica shop. Among items for sale were fake bags for around $170.00 to $210.00 USD, a fraction of the cost of an original. The unlawful production and sales of replicas instigated a lawsuit against the former owners of NNBag.com. Since then NNBag has been permanently removed from access to use this domain. So now, only authentic CHANEL bags are to be admired at NNBags. 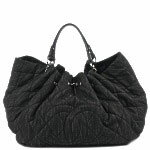 Chanel replica bags are not associated with CHANEL, and are, in fact, neither authorized nor supoorted by CHANEL. 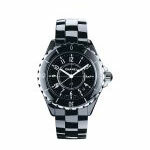 CHANEL consistently monitors the internet for infringing products, and does not hesitate to pursue legal action where appropriate.